Abu Dhabi: The Indian Embassy in Abu Dhabi will take up Indian expatriates’ concerns about exchanging invalid Indian rupee notes with them following the withdrawal of Rs500 (Dh27) and Rs1,000 notes from circulation since last Tuesday night, a senior official told Gulf News on Monday. “Along with the appreciations of the government’s decision, we receive many enquiries from Indians here. Many people asked whether embassy can open a counter to accept the invalid notes, which is not possible,” said Neeta Bhushan, chargé d’affaires at the embassy. As Gulf News reported, money exchanges and Bank of Baroda, the only Indian bank having commercial operations in the UAE, are not accepting the invalid notes. Most of the money exchanges have stopped buying Indian currency. However, the official said there was no need to panic at all. The prime minister has assured the nation that all steps would be taken to protect the people’s interests, she said. 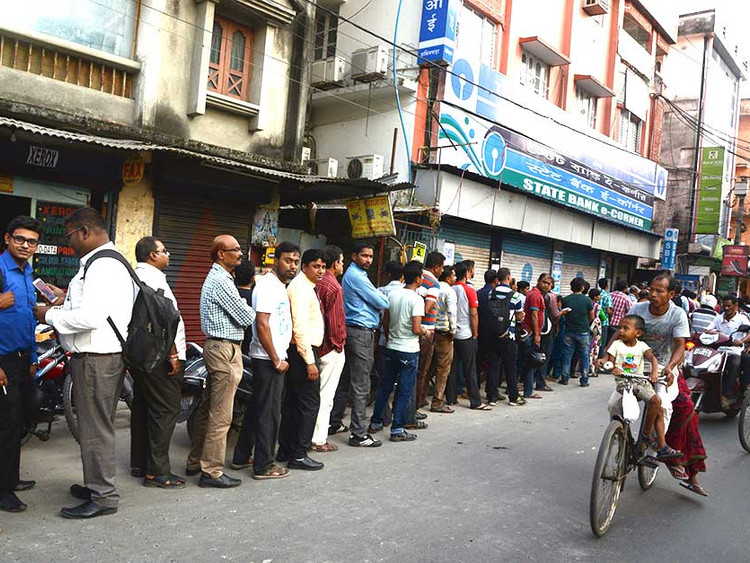 People can exchange the invalid notes until December 30 from banks in India and until March 31 from Reserve Bank offices. More helpful measures may come up in the coming days, Bhushan said. Meanwhile the UAE Exchange said it was flooded with customers following a social media rumour that suggested it was accepting the invalid Indian rupee notes. An example of such false communication is an unofficial audio message being circulated via WhatsApp stating that UAE Exchange is offering to exchange the demonetised bank notes of Rs500 and Rs1000, the company said. As Gulf News reported on Sunday, Indians cannot immediately get the newly introduced Rs500 and Rs2,000 notes because exchanges cannot import Indian rupee directly from India. India does not export its currency and exchanges get the new Indian rupee notes from Indian customers. Shetty said the Foreign Exchange Remittance Group (FERG), an official body of money exchange businesses in the UAE, is still waiting for a reply from the UAE Central Bank in dealing with the demonetised Indian rupee. “We have sought the central bank’s help to clear the stock of invalid Indian rupees,” he said. Almost all money exchanges have stopped buying Indian currency as a matter of precaution.